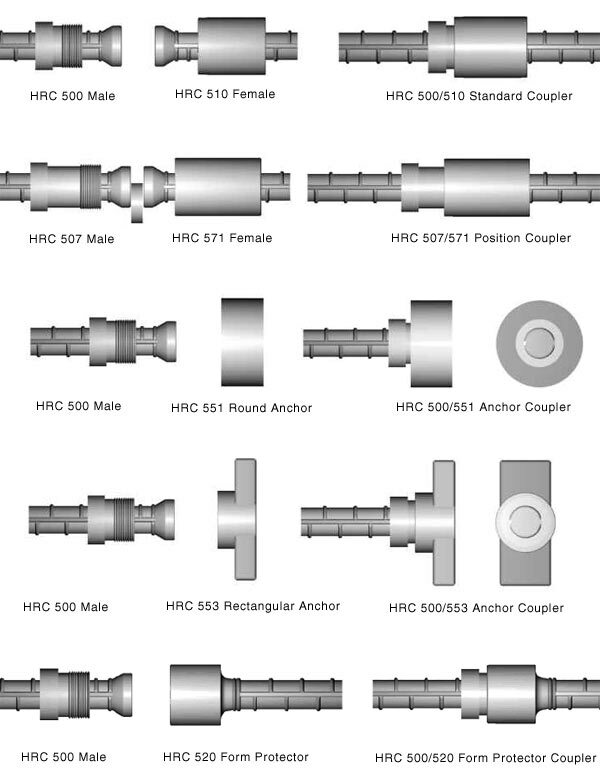 HRC 500 Series - Headed Reinforcement Corp.
HRC 500 Series Splicing System is designed to exceed the capacity, stress and strain, tension, compression and full plastic, cyclic loading of A706 and A615 reinforcing steel. Specified as 175% fy, Xtender Splice will ensure available ductility from the rebar whenever it will be needed. It can be used as a standard coupler, splicing new reinforcement to existing bars in a retrofit project, or as a position/transition coupler splicing multiple bars in pre-tied reinforcing cages. The reliable performance and simple quality control of the splice makes it less sensitive to field conditions. Exceeds all specifications including Caltrans Ultimate Splice Criteria and 1997 Uniform Building Code™ (UBC) criteria for Type 2 splice for seismic areas 2, 3, and 4.